Stockman Bank will employ 40 workers at its downtown headquarters and lease out the third through fifth floors, while reserving the top floor and its garden terrace for public use. Nearly a year into the construction of Stockman Bank’s western Montana headquarters, the corner of West Broadway and Orange Street bears little resemblance to its former self. The old Carquest and Salvation Army buildings have been razed, power lines have been buried, and the six-story building has a commanding presence on the downtown corner. On Thursday, the Missoula Redevelopment Agency’s Board of Directors approved $1.5 million in tax increment financing to reimburse the bank for a portion of the work. The package is contingent upon MRA’s ability to put together an acceptable financing package, which would be paid to the bank over time. With a total project cost of $30.6 million, the bank and attached three-level parking garage is one of the largest developments to land in downtown Missoula in recent years. The bank spent $2.5 million buying the property and construction costs are estimated at $26.2 million. Of the $1.5 million reimbursement from MRA, roughly $1 million is dedicated to demolition and the relocation of utilities. Around $315,000 will go to improvements to the public right of way, and $126,000 will go to architect and engineering fees. 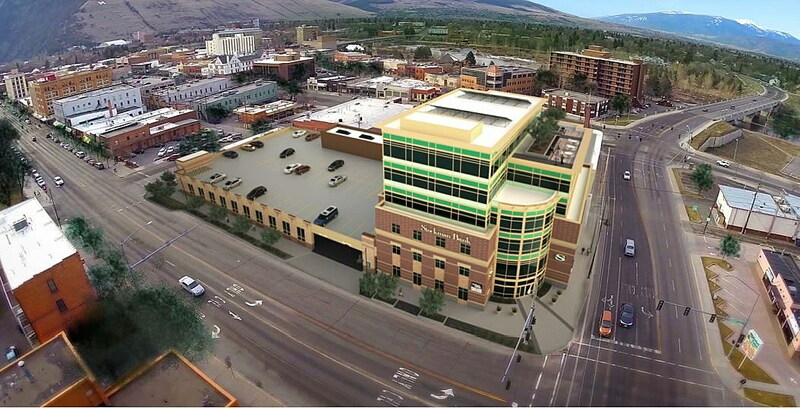 Bob Burns, the bank’s Missoula market president, agreed, saying the growth of the downtown district, combined with the firm’s expanding customer base, made the project attractive to Stockman owner Bill Coffee. 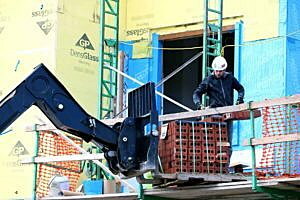 Burns said the bank plans to employ 40 workers at its downtown headquarters. The bank will occupy the first and second floors while the third floor will be leased to the Worden Thane law firm, which specializes in business, real estate and general litigation. Stockman is currently seeking tenants for the fourth and fifth floors, while the top floor and its rooftop terrace will be reserved for board meetings and community use, including nonprofit fundraisers. MRA Director Ellen Buchanan said the project will generate an estimated $250,000 to $300,000 annually in new property taxes. The property was not on the tax rolls previously, given its use by the Salvation Army. While the urban renewal district has little tax increment in the coffers, Buchanan said, the taxes generated by the bank will be enough to reimburse Stockman. What’s left will help finance the construction of a conference center and parking structure across the street as part of the larger Riverfront Triangle development.